Are you looking for a reliable and friendly removals and storage company in Woodstock? Here at Dukes removals and storage we know how important it is to find a removal company you can trust that will manage your move with care making sure you move out at the appointed time on the day. We have had years of experience moving people all over the UK and are fully approved by trading standards and a member of their buy with confidence scheme. Moving house or office can be stressful so its always best to leave it to the professionals. We offer a free survey and will advise you on the removals process. Packing for your removals or relocation can be stressful and time consuming especially if you have children. Are staff are well experienced in packing and will take care of all you needs. Whether you need a full house packing service or just help packing the the kitchen we can help. We supply all packing materials and covers for furniture so they will stay protected durning your move or whilst they are in storage. 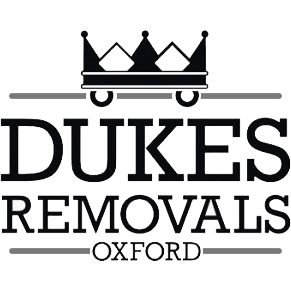 Dukes provides residential and commercial storage in Oxford. Our storage are fully secure and we have a range of storage from indoor units to container storage. We will advise you on storage room sizes and will provide a door to door service if you would like us to manage it for you. All furniture items are wrapped before transportation and stored carefully.